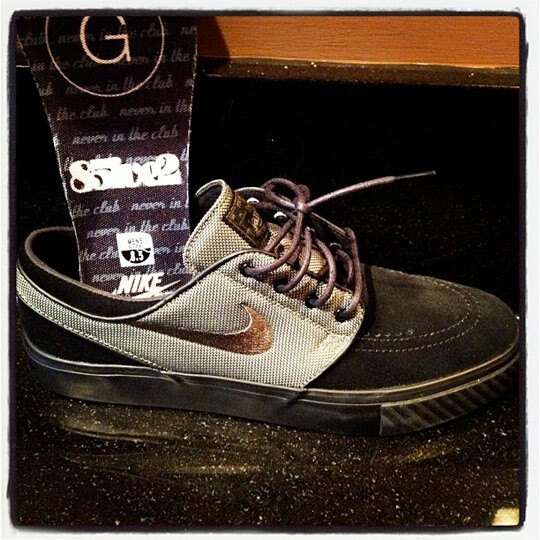 Hong Kong's 8Five2 Skateshop recently joined forces with Nike Skateboarding on this upcoming premium build of the SB Stefan Janoski. 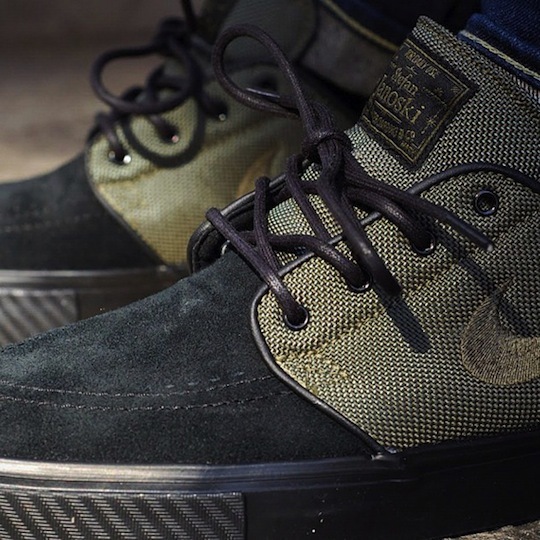 Making the most of this once in a lifetime project with Nike Skateboarding, 8Five2 Skateshop dressed the Janoski pro model in a sweet combination of rugged nylon and suede. Black suede handles most of the shoe including the toe, while the olive nylon adds a nice touch building the side panels. Black laces set them off, while a traditonal vulcanized sole is covered in black down below. 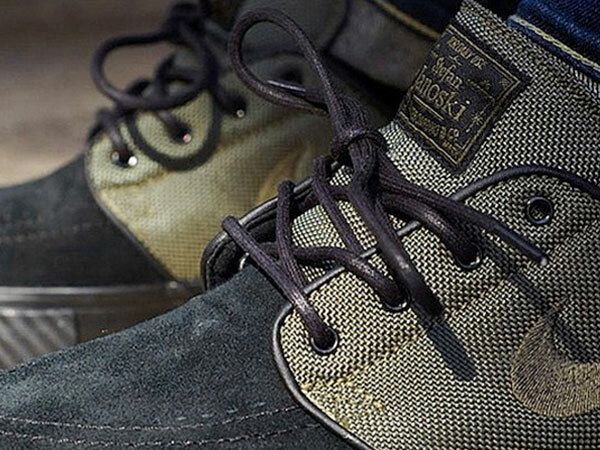 An official release has yet to be announced for the 8Five2 x Nike SB Stefan Janoski Premium QS. Stay tuned to Sole Collector for further details.